Gu stands for darkness, and ru stands for light. The Guru is the current of consciousness that takes us from darkness to light and provides a bridge over the ocean of samsara to the splendor of liberation. The Guru is our doorway to grace. Our new recording will include Om Guru, Mere Guru as an opening chant, which Swami Nirmalananda wrote to honor her Guru soon after taking sannyasa initiation. It is a heartfelt expression of gratitude to her Guru, Muktananda, for giving her Guru Om as a mantra, something not often given. This mantra had a deep and profound effect on her. After she wrote Om Guru, Mere Guru, Swamiji realized that the chant gives each person the opportunity to sing to their own Guru, whether that is Swami Nirmalananda, Swamiji’s Guru – Swami Muktananda or another teacher who gives the experience of your own Self. 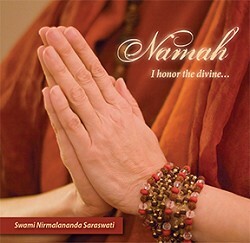 Swamiji is happy to serve as your Guru or as a midwife for those chanting to another Guru. Swamiji wanted this new recording to be unique to the Ashram so people recognize it is different from the SYDA Foundation version and all the other organizations that have released recordings. The SYDA organization was founded to represent Baba in America; it is very important that the way Swamiji conveys Baba’s teachings be distinguished from SYDA’s instructions. Svaroopa® Vidya Ashram and the SYDA Foundation are two separate organizations. Swamiji is happy to support yogis in their relationship with their chosen Guru whether it is through SYDA or any of the many Ashrams and teachers that have sprung forth to create this big family. A wonderful online resource shows the extent of the family spawned by Nityananda’s teachings: www.nityanandatradition.org. This site shows all the direct disciples of Nityananda, one of whom is Muktananda, and all his disciples. 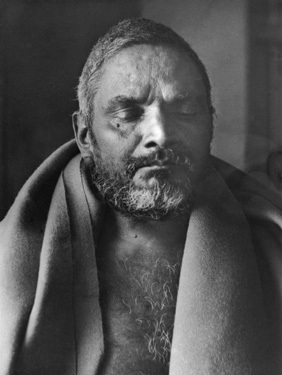 Swami Nirmalananda is one of over 200 teachers carrying on the work Nityananda began in the mid-20th Century – to make previously hidden teachings available throughout the world. The reach of Nityananda’s teachings through all his disciples and their disciples is immense.